Time again to make more food for Olivia and Neo! As you know, they get BARF. 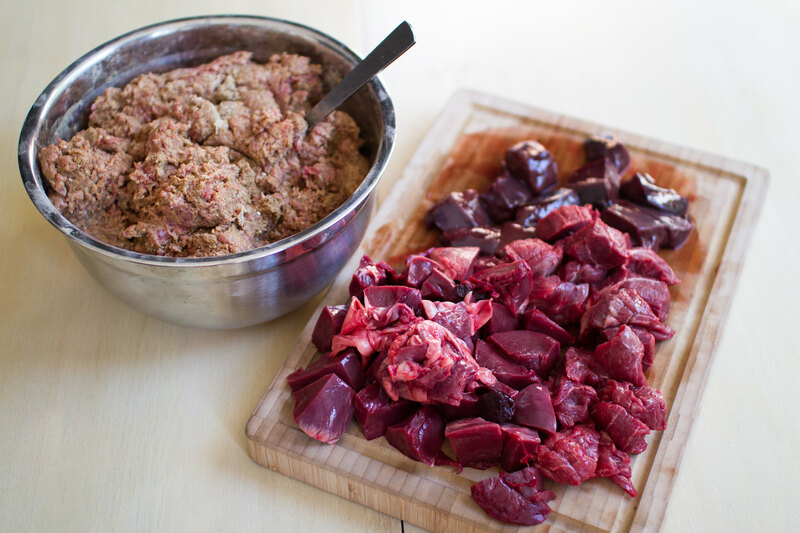 The last batch was not that appreciated, with a lot of minced hen meat and also kidney from deer. Hen and kidney meat are really not their favorites… Can’t blame them for their dislike of kidney though, it has a really special taste. Ingredients for this BARF batch. But for this one, they got only things that they really enjoy. We use only organic ingredients to get the highest quality and to keep an ethical and environmental aspect to it. Chop the pieces into large bits. 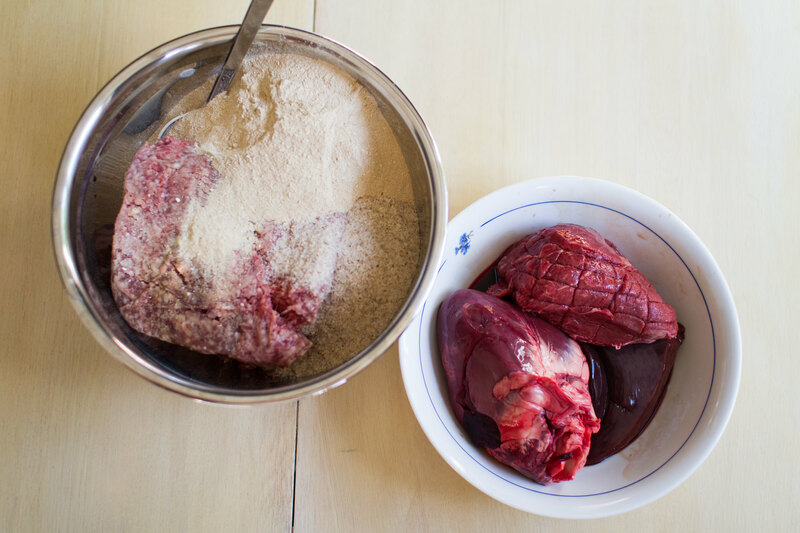 Simply mix the minced meat with all the bone meal and psyllium seed until it’s mixed. You’ll need to add water to be able to make it go together. Chop the other meat parts into large pieces so that the cats have something to chew on. Put ready portions in jars, i.e. weigh the correct amount your cat is suppose to eat each day, and then store in the freezer. The psyllium seed doesn’t add any essential nutrition but it is really good food for the cats gut bacteria that helps them to stay healthy. Just like our guts need som resistant starch to thrive.